We’re taking a look at the powerplant which resides in the 240SX, as well as many other cars. We’ll explain everything you need to know and how to get the most out of Nissan’s legendary KA24DE engine. There’s no doubt that those of you that are in the drifting scene, particularly in the U.S., will be familiar the KA24DE engine. It’s lesser known across the rest of the world, but many owners and enthusiasts across the States have grown to love this restricted beast, and it’s managed to earn itself a substantial following over the years. Nissan’s KA24 family began its life back In 1988 as a replacement for the outdated Z24 engine, initially known as the KA24E. This tame offering, which was found in 1989 and 1990 240SX’s would soon be replaced by the superior KA24DE, which owners would soon discover to be an underrated, and underperforming powerplant. Numerous changes were made between the two engines, and the DE revealed a 16 valve DOHC setup, (unlike the KA24E, which had a SOHC 12-valve engine) with larger diameter inlet valves, modified pistons, and crankshaft and a compression ratio of either 9.0:1, or 9.5:1. This allowed the DE to rev to the 6,900rpm redline as opposed to the 6,500rpm from its predecessor. Additional design improvements of the dual cam engine include the use of a knock sensor, larger diameter girdled main bearings in the Japanese block, different oil pan (not interchangeable between Japanese and Mexican blocks), different oil pickup (front pickup on Japanese block and side on Mexican block), dipstick location (toward the rear of block on Mexican and mid-block on Japanese) and piston oil squirters. This meant that the KA was now capable of producing an additional 15hp, totalling 155hp. Peak power is being pushed out at 5600 RPM and peak torque at 160 lb-ft at 4400 RPM. It may seem adequate power numbers for a naturally aspirated 2.4-liter engine, which handed it a ratio of slightly greater than 1hp per cubic inch, but it certainly wasn’t anything to yell from the rooftops about in stock form. The KA24DE is an excellent candidates for a stroker kit. You can find out more in our stroker engine article. Although the power figures are quite disappointing, especially by today’s standards, the DE was initially intended for use in light trucks and SUV’s. Not only was it lacking in power, whilst the cast-iron block was great for reliability, it wasn’t quite so impressive on the weight saving aspect! Part of the reason Nissan fitted an iron cylinder block was to save money, and this enabled them to offer an incredible chassis at an affordable price point to the masses. The engine was named after the “24”, which denotes the displacement of 2.4 liters. The “D”, which signifies that the valvetrain is dual overhead camshaft, whilst “E” indicates electronic fuel injection. “T” can also be used regarding upgraded turbocharged applications, which we’ll speak about later in our guide. We’re not gonna lie, we found this parody video amusing. Are you guilty of any of these? The KA24DE was utilized in a wide variety of Nissan cars and trucks, which they were initially intended for. Most KA24DE’s which eventually resided in the US were built in Aguascalientes, Mexico, with the exception of the 240SX, 1994-97 Altima (re-badged Bluebird SSS), and the FWD U13 Bluebird, which were all manufactured in Fukuoka, Japan. 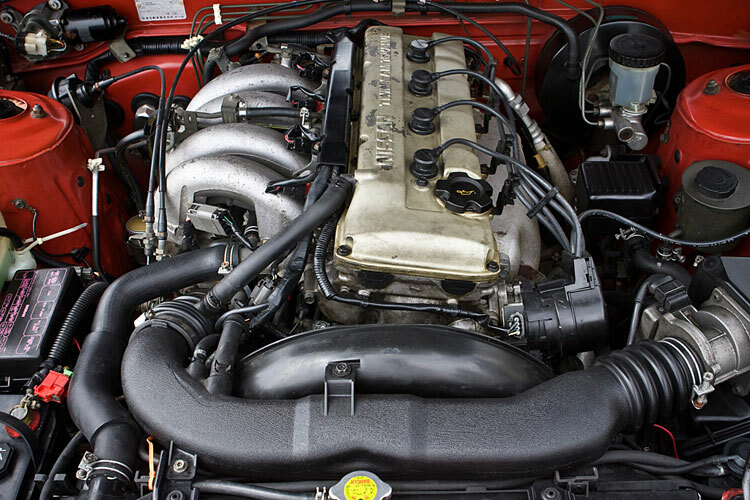 The KA is a testament to the reliable and durable Japanese engines of the 90s. Provided it receives regular service intervals, using high-quality engine oil, it’ll undoubtedly serve you well. There are some differences between the blocks which were built in Japan and Mexico. The Mexican blocks, (featured in all DE’s with the exception of those in the 240SX), implemented a distributor and oil pump drive similar to the L series; from the crank nose. They also used a single row chain for the upper timing assembly. In addition to this, they also removed the rearmost cam journal in the Mexico head. The crank rides on individually capped bearings with a slightly smaller diameter than the Japanese block, with shorter, slightly lower compression pistons in cylinders that have thicker walls than the Japanese DE. They retained the knock sensor and piston oilers. 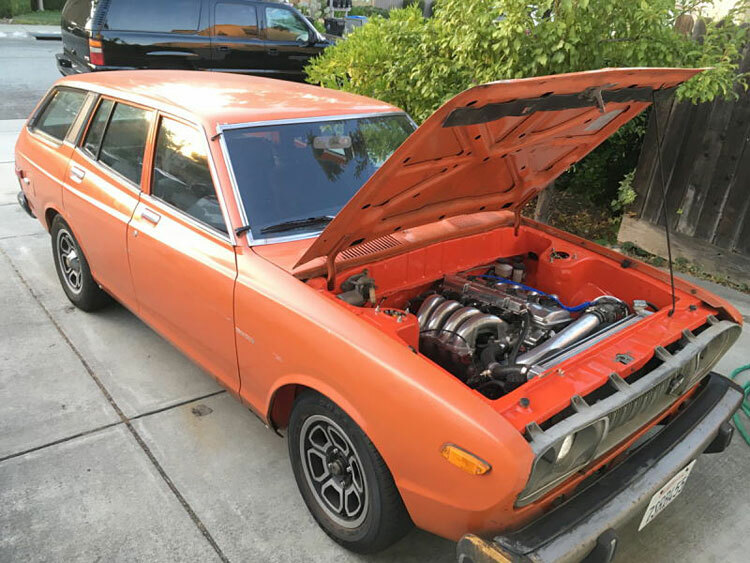 If history and KA24DE’s are your thing, we’ve got the perfect combination with this KA-swapped Datsun 510! The Nissan 240SX was introduced to the North American market by Nissan in 1989, which arrived as a replacement for the 200SX, and would continue to be sold there until 1998. As you’re probably aware, the 240SX is closely related to other S vehicles: the Japanese-market Silvia, 180SX and the European/Australian-market 200SX. The 240 was known for sharp steering and handling, (thanks to front MacPherson struts and a rear multilink suspension), and was also relatively light-weight (2700 lb) which made it great fun to drive. Despite the modest power output, relatively low vehicle weight, and good aerodynamics, the gas mileage that it offered was mediocre. These engines are the primary difference between the North American 240SX and the world-market Silvia/180SX/200SX. The KA24DE did not come turbocharged form from the factory. 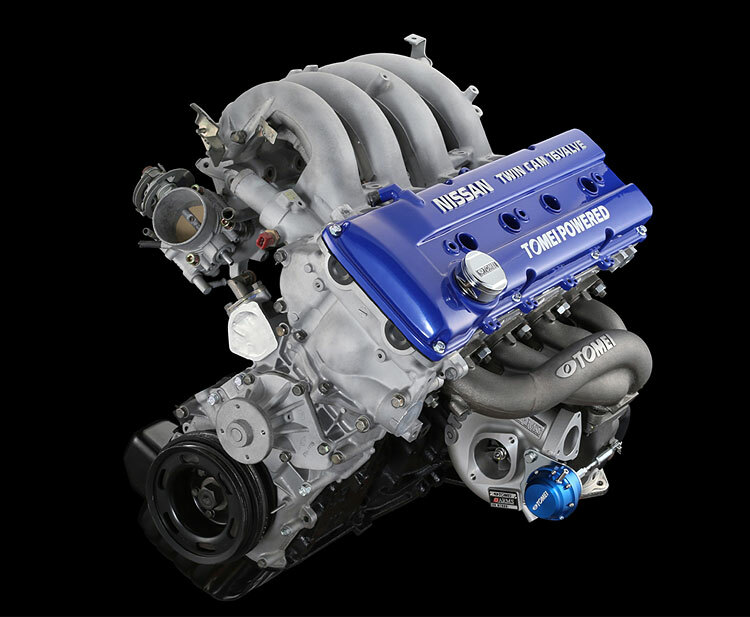 Meanwhile, the SR20DET, which the rest of the world were provided with, did. The U.S. version was regarded as a highly capable sports car which many say would have been the perfect all-rounder with a slightly improved engine. Further differences between the 240SX and 180SX/200SX include a standard limited-slip differential on overseas and Canadian models, available digital climate control in Japan, and manual seat belts standard in Japan and Canada vs. automatic restraint seatbelts in America. Want to know more about limited slip vs open differentials? Make sure you head over and check out our Limited Slip Differential Vs Open Differential guide. Alongside the DE upgrade, 1991 was also a substantial year for the 240SX with numerous changes being undertaken by Nissan. Its original matte silver, teardrop wheels were replaced by polished aluminum 7-spoke variants, which had improved brake cooling properties. The nose was smoothed out by getting rid of the non-functional slots. A new “LE” hatchback trim package was added which included a leather interior. An optional sports package including ABS, a limited slip differential, and Nissan’s HICAS four-wheel steering was now available on hatchback models. Although the last 240SX to roll out of Nissan’s factories was July 23, 1998, they still went on to produce the KA24DE until 2008 after continued production in the Nissan Navara/Frontier. From 2004 onwards, the engine was replaced for a modern alternative, the 2.5L QR25DE. Thanks to the huge following that the 240SX has in drifting, it’s quickly become one of the most popular tuner cars in the US. A naturally aspirated built can reach up to 200whp (230bhp), but it isn’t cheap. This kind of build requires full bolt-on supporting mods, ported and polished head, bigger cams, and possibly a higher compression ratio. Before any tuning is done to your KA, we always highly recommend ensuring that you ensure both the engine and its components are in good condition. There’s nothing more frustrating than spending money on a damaged engine. If you decide you want to stay on the originally intended naturally aspirated path, there are a handful of simple modifications you can carry out to extract some extra ponies. Firstly, you’ll want to install a cold air intake for maximum breathing efficiency, followed by a 4-2-1 header with the most free-flowing exhaust system available. Combine this with a lightweight flywheel and a tuned ECU and you should be capable of achieving around 175hp, 20hp more than the 155hp which it left the factory with. 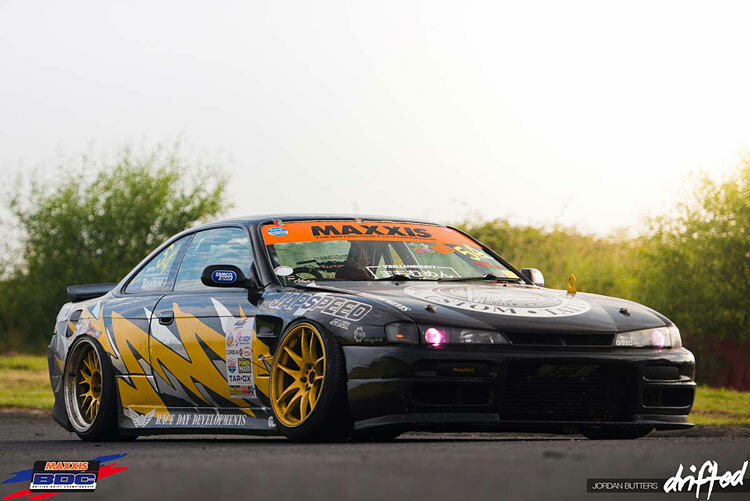 If you’re considering spending some hard-earned cash on upgrades, you’ll undoubtedly also want to make the most of your suspension, so make sure you check out our 240SX Coilover guide! Worried that your stock KA won’t be capable when it comes to drifting? Let these guys prove you wrong! Whack a turbocharger onto your KA and you’ll see this underperforming powerplant burst to life as it finally has the opportunity to show its true colors. 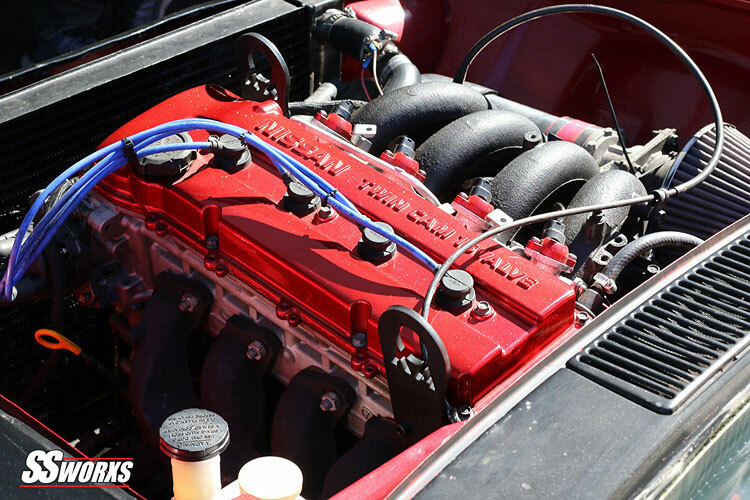 With the KA24DE, Nissan just happened to build an incredible foundation for a turbocharged four-cylinder engine. With the large displacement providing the turbos with the capability to spool far quicker, the KA24DE’s connecting rods and crankshaft are also quite strong. With proper tuning and a well-engineered turbo system, 300 horsepower can be achieved on the stock internals. Beyond 300 horsepower, you’ll want to look at upgrading some of the internal engine components. It may seem strange that Nissan never offered a turbocharged KA, but thankfully, many tuners have discovered that there’s a convenient route to converting the stock KA block into a turbocharged KA-T weapon. This is the most sensible option when it comes to substantially increasing the power of the engine since the stock internals are extremely robust and easily capable of handling boost. You have to check out this crazy 950+HP 240 KA-T build! Although many people use an eBay turbocharger or the SR20 turbo with a custom-made turbo setup, the better option is to use an off-the-shelf kit. Something like this offering from Tomei is ready to bolt on and boost, and is eventually capable of achieving in excess of 400hp! Further tuning is of course advised for reaching these kinds of numbers, though. We’ve written an entire guide on the best kits available specifically for the 240SX KA24DE-conversion, which you can find in our KA24DE Turbo Kit Guide. There seems to be quite a bit of confusion regarding the differences between the KA24E and the KA24DE. As you may suspect, these engines are mostly very similar, but there are a few major differences which separate them, and the most significant change is the cylinder head. With the KA24E featuring a single overhead cam and just three valves per cylinder, the KA24DE is a dual overhead cam engine which utilizes four valves per cylinder. If you didn’t already know, the biggest power gains of any engine are found in the cylinder head. Design improvements in the dual cam engine include the use of a knock sensor, larger diameter girdled main bearings (in the Japanese block), an adjusted oil pan design, upgraded oil pickup, relocated dipstick, and piston oil squirters. With these changes came more power, and torque without the need to hinder the reliability of the engine. As soon as the DE hit the market, it was clearly far superior to the E, which is no longer particularly sought after. Well, we couldn’t ignore this argument, could we?! Now, it’s not particularly fair to compare the high-revving, turbocharged legendary SR20DET with a stock KA24DE, but let’s remember that there’s also the KA24DE-T! It’s easy to envy the JDM equivalent, which was equipped with the turbocharged SR engine, offering out-the-box forced-induction from the factory. At the same time, the USDM variant received the torquey, yet somewhat uninspiring, KA24DE engine. Here’s another KA24DE shredding tires at the track for inspriation! Many felt short-changed by Nissan’s decision to provide the US-bound 240SX with a truck engine. However, as time went on, more tuners researched and developed the KA24DE, and finally, owners began to appreciate the potential that this powerplant has to offer. He’s not the only one, Clark Steppler of Jim Wolf Technology agreed with him and stated, “Although the SR20DET surpasses the KA24DE in many areas, the KA can be improved to match or surpass the SR. They both make some valid points, and let’s not forget the infamous motto, “There’s no replacement for displacement”! The KA’s head is designed for superior flow over the SR, and is only limited by the head studs and head gasket, for both of which aftermarket alternatives exist. 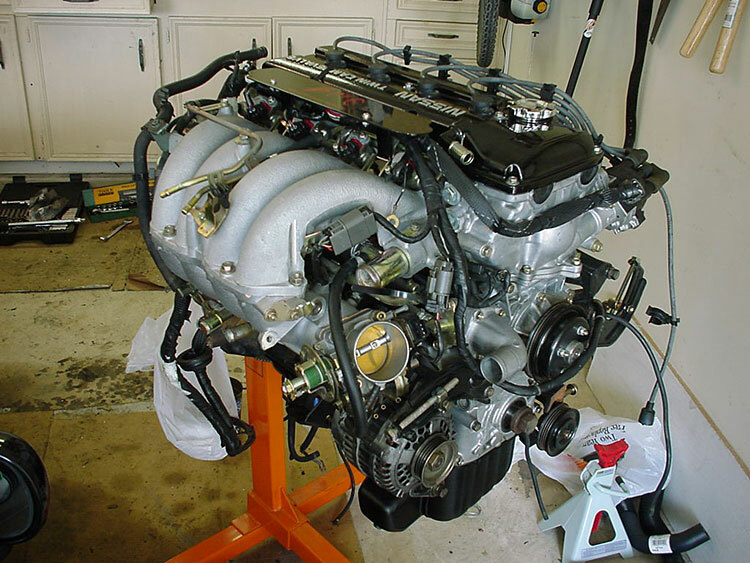 One of the biggest advantages the KA24DE engine has over the SR20 is its iron block. Iron is significantly stronger than aluminum, although it does suffer a substantial weight penalty. For the pure purpose of containing the extreme pressures in the combustion chamber, there is nothing better than a strong cast-iron block. On the flip-side, the SR undoubtedly still takes the win when it comes to off-the-shelf parts. Just a few years ago, part development for the KA was little to none, but over time many tuning houses have fought for the cause with the ever-popular KA. You can find almost anything to build a solid performing KA. But, still to this day, it’s unfortunately only a fraction of what is available for the SR.
Let’s not forget that SR was designed to handle forced induction as Nissan intended, and the overall reliability of an unmolested SR may well be worth considering if you can find one at a reasonable price, which is becoming increasingly unlikely. Although the KA is superbly built, a lot have been poorly maintained and the overall stresses of a boosted setup may well push this typically reliable stock KA beyond its limits. With that being said, we love something different here at Drifted, and while a KA24DE-T isn’t the most unique build in the world, it’s certainly a lot rarer than the SR20DET! Which cars left the factory with the KA24E/DE? Many non-240SX owners have decided that the KA24DE is the perfect choice for their car, take a look at these awesome swaps! We hope we’ve provided you with everything you wanted to know about the KA24DE. If you have any further questions, feel free to contact us on Facebook and we’ll happily update our guide! Don’t forget to check out our KA24DE-T Guide for everything you need to know about turbocharging your KA with a convenient off-the-shelf kit!